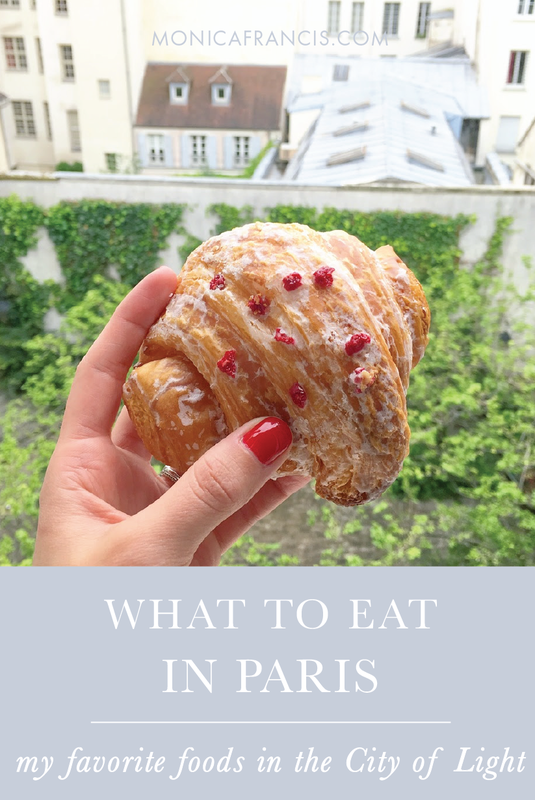 Over our two weeks in Paris, we enjoyed a lot of great food out when we weren't cooking in at our Airbnb apartment. But these were the crème de la crème, the most fantastic things we ate during our stay, and that you should definitely add to your list. You'll find this fashionable, narrow little restaurant almost hidden on Rue Richelieu, next to Palais Royal and not far from the Louvre. It's sweetly decorated, and home to a super-delicious Sunday brunch of small plates. The two of us shared shared three plates (pesto scrambled eggs, buttermilk fried chicken, pancakes with bacon jam - yes, bacon jam!) and with mimosas, it was plenty. Reserve via their website a few days in advance - things can get busy as a proper brunch isn't common in Paris, and this one is great. Ellsworth also serves dinner! 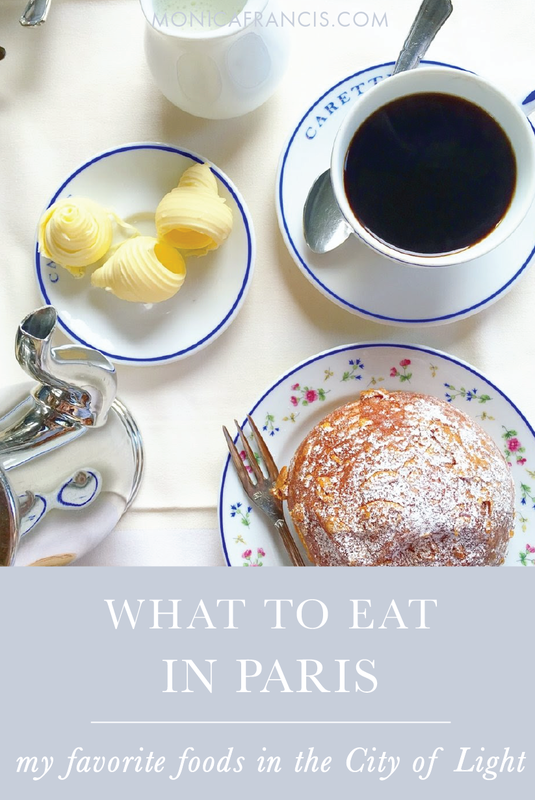 This was not only one of our favorite meals, but hands-down one of our favorite experiences in Paris. If you have the chance, do this: buy a formule meal (usually a sandwich, a beverage and a small dessert) from a boulangerie, and bring it to the western end of either Île-Saint Louis or Île de la Cité. Sit as close to the end as possible, put your feet over the edge, and sit and eat and look out over the city and the people and the clouds going by. If you don't drop anything into the Seine, it's a 100% success. After your picnic, Berthillon is so close you should probably stop by. Or go before your meal... or both. And maybe make a special trip back a few days later, because the caramel beurre salé is so hopelessly delicious. Berthillon is generally known as the best ice cream in Paris, and I completely agree. There are ice cream stands around the city that sell Berthillon ice cream, but I like their storefront on Île Saint-Louis. If you're looking for fancy, frenchy drinks and dessert in Paris, Chez Julien is the place. The recently refreshed interior still maintains some Belle Époque elements from the building's original bakery. It also has a lovely patio and is steps away from the Seine, with a view of Île Saint-Louis. We did have a pricey-yet-delicious dinner here, but the stars of the show were the champagne cocktails and brioche perdue with salted butter caramel. This is a popular spot which means it almost always has a bit of a wait (unless you ahead call to make a reservation), but it's worth it for what are quite possibly the best crêpes in Paris. Brezih Café is above and beyond your typical crêperie - it's a place for a full meal, not just a snack. Do yourself a favor and try both a savory crêpe and a sweet one. The Grand Marnier crêpe flambé we had for dessert was as impressive as it was scrumptious. The prices are refreshingly reasonable, so it's a win all around. Tucked into a funny little courtyard, the Yummy & Guiltfree stand serves savory and sweet waffles that are gluten free and supremely adorable. We certainly weren't trying to avoid gluten in Paris, but this was one of our favorite goûters. The savory waffles are cornbread-esque and come piled high with toppings, while the sweet ones are a tasty breakfast waffle: nicely spongy with crisp edges and creamy topping. I can only imagine that this place would be a haven for celiacs in Paris! If you don't have the time or budget for a meal at Frenchie (or even if you do), stop by their outpost Frenchie to Go. It's an interesting, buzzy place to visit that serves up huge sandwiches to go - or stay, and wait for a table to open up. With a side of delicious fries, one sandwich would easily have been enough for two. There's an incredible plant wall just around the corner, so plan to walk by for a photo. Carette is so pretty and classic that it's worth a visit despite its prices. The set brunch menu they offer is expensive and very bread-heavy, but a pastry and coffee is much more reasonable on all counts. I enjoyed a decent pot of filtered coffee (a rare find) and a really lovely sweet orange brioche. If you do decide to trade a handful of Euros for a dish of scrambled eggs, don't worry - they are delectable. As a macaron aficionado, I made my way - twice each - to Laduree for classic flavors and to Pierre Hermé for the more creative ones. But this trip I was lucky enough to find the phantom Ispahan (rose, raspberry and litchi) croissant at the Pierre Hermé on Rue Bonaparte. It's topped with candied rose petals, and was completely worth the hunt. And yes, I held it precariously out a window for this photo!